We designed a beautiful device to make inhabited places not only look, but also smell beautiful. Life is not only about seeing and feeling but also experiencing with all senses. 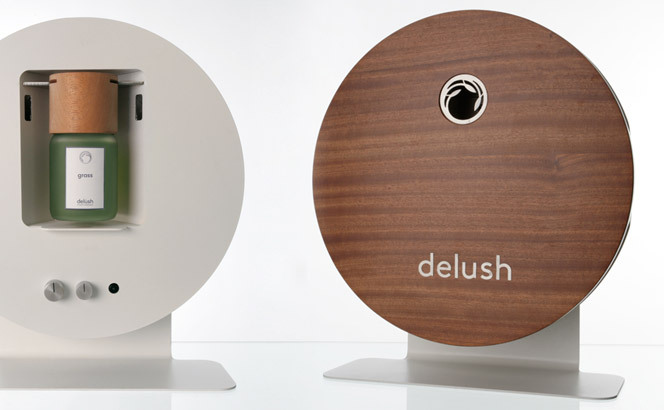 Delush is a company providing premium scents to businesses as well as for personal use. We are proud to support them with the design and the engineering of their newest devices.